Hammerworks offers Hanging Onion Lantern HRG12 to complement the Onion Post and Colonial Onion Wall Lights. Most importantly we offer a variety of sizes allowing you to complete the look in your lighting design. In addition we make Hanging Copper Onion Lights with your choice of a single down light or a 2,3,or 4 light candelabra setup. Furthermore we supply all Onion lights and Round globe lights with a sturdy clear glass globe, providing excellent illumination. Our reproduction copper Onion Wall Lanterns are a practical and functional choice for any setting. Whether it is Copper Onion Wall Light OL12 or Onion Brass Wall Lights OL10 we handcraft these classic Colonial Onion Wall Lanterns from solid copper or solid brass. Furthermore they coordinate with Onion Post Lights and Hanging Onion Lights. 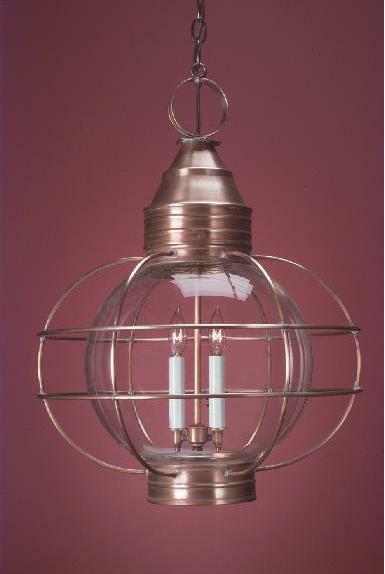 Since each Copper Onion Wall Lantern is made in several sizes you will find one just right for your space. In addition they are used in a variety of indoor & outdoor settings. While exterior use is most common, interior uses extend to any room in your home. Thus from entrance halls & kitchens to family rooms, bedrooms& bathrooms Onion lanterns are used wherever a light is needed. Finally the attractive design blends well with Colonial Ceiling Lights or Colonial Wooden Chandeliers. Of course if you would like to contrast your Hanging Onion Lantern with another style you can choose from our wide selection of Colonial Tin Chandeliers. Colonial Reproduction Tin Chandeliers CH103 are an ideal choice as well as Antique Brass Chandelier CH116. No matter your preference you will find the right Antique Home Reproduction Chandelier within our varied collection. Most importantly we handcraft each 18th Century Reproduction Chandelier in your choice of finish. Therefore you can choose from Antique Tin, Antique Brass or Painted Black to complement your color scheme.